Fire crews aggressively responded to a fast-moving vegetation fire burning on the Loma Prieta ridge in the Santa Cruz Mountains, which prompted evacuations, destroyed one structure and charred at least 1,000 acres by late Monday night, fire officials said. At least 300 structures are threatened by the Loma Fire, which is in proximity to television towers. Evacuations are in effect along Summit, Mount Madonna and Croy Ridge roads. 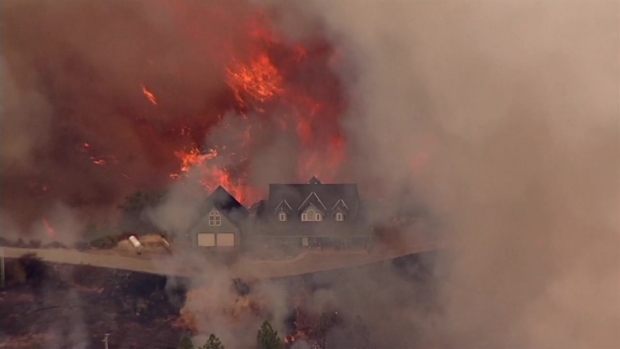 About 300 people have evacuated the area, Cal Fire said. Resident Fred Eggers lives on Summit Road. 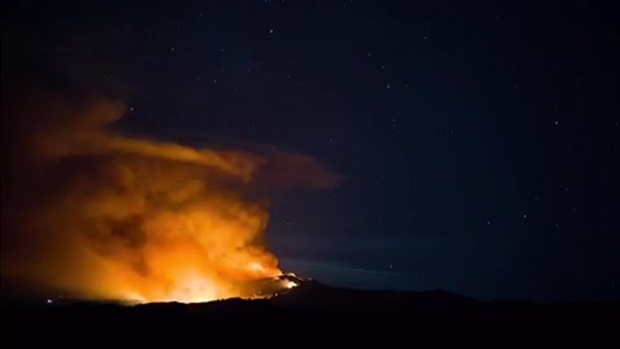 A timelapse of the Loma Fire in the Santa Cruz mountains. Mandatory evacuations were ordered Tuesday morning for Santa Cruz Mountain residents living near the Loma Fire, which had charred 2,000 acres and was 5 percent contained early in the morning. Video produced by Jennifer Gonzalez. Santa Clara County residents described seeing a plume of smoke resembling a volcano from their homes and backyards. Footage from the NBC Bay Area chopper, which was the first to arrive at the scene, showed fire crews and a DC-10 tanker using retardant to control the fire. 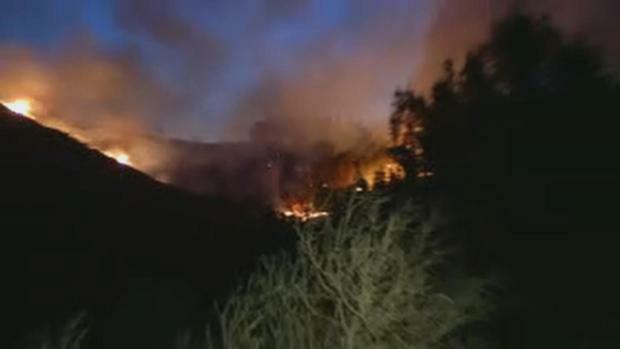 According to CalFire, 200 firefighters from multiple agencies were on scene, and the fire was 5 percent contained by late Monday night. The Red Cross set up three evacuation centers Monday evening for those who needed food and shelter: Soquel High School, 401 Old San Jose Road in Soquel; the Jewish Community Center of Silicon Valley, 14855 Oka Road, Los Gatos; the Morgan Hill Presbyterian Church, 16970 DeWitt Ave, Morgan Hill. 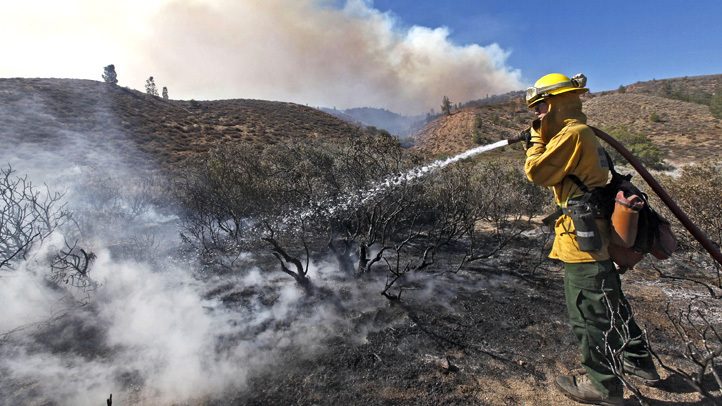 The blaze is in the area of Loma Prieta and Loma Chiquita roads, west of Morgan Hill, and is spreading at a rapid rate in the southeast direction toward open space, Cal Fire said. "We're in a very remote area of Santa Cruz County-Santa Clara County, so travel distances are long," said Jim Crawford of Cal Fire. "The terrain is very steep. The vegetation is very dry." Cal Fire crews are responding to a large vegetation fire burning in the Santa Cruz Mountains that has prompted evacuations and charred around 200 acres, authorities said Monday afternoon. 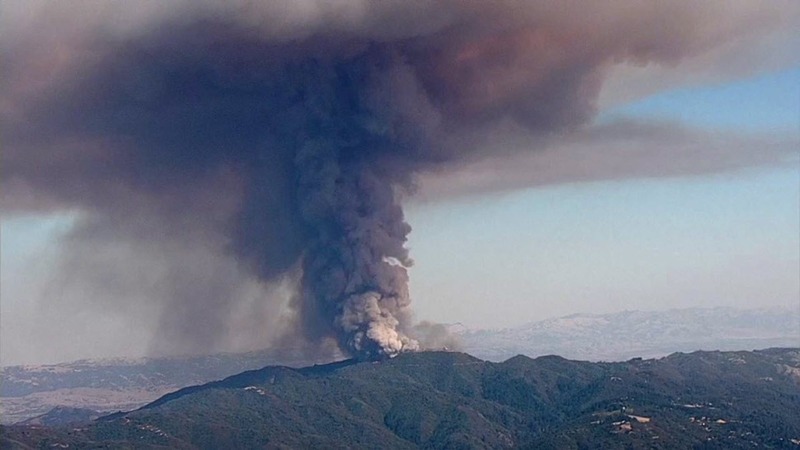 Dozens of South Bay residents tweeted photos of the fire from their evening commute home. A time-lapse video of the fire showed white smoke from the fire quickly turning dark black, and then a fiery red around 5:30 p.m.
Monday, a Spare the Air day in the Bay Area, was an exceptionally hot day in the South Bay, with temperatures rising to 100 degrees in some parts. Crawford said fire crews are doing their best to save any threatened property, but public safety comes first. "Our top priority is rescue and evacuation of people," he said. "And unfortunately, if people don't heed our evacuation requests, we are in a place where we have to provide rescue at some point to those people." Fire officials do not know the cause of the fire. They expect the blaze to burn for a few days. For the latest updates on the fire, visit the Cal Fire website or a dedicated groups.io page. NBC Bay Area's Laura Malpert and Gonzalo Rojas contributed to this report. #UPDATE Loma Prieta Fire. 200 acres burned. 300 structures threatened. RIGHT NOW: #CalFire sending ground & air resources to brush fire at Loma Prieta & Loma Chiquita Road in the Santa Cruz Mountains.